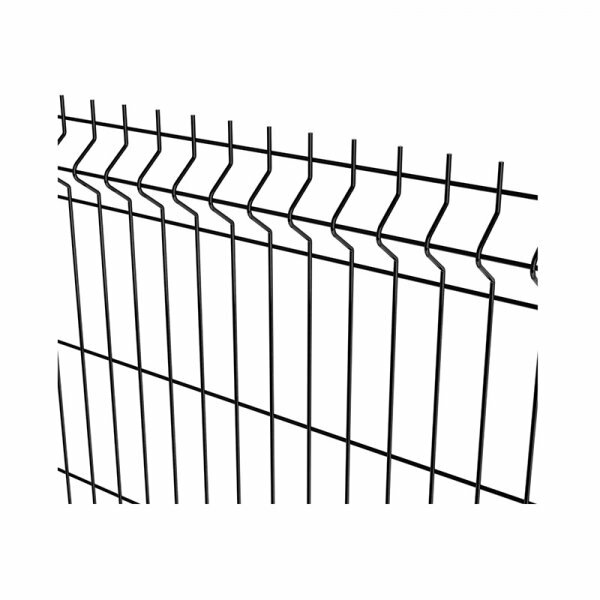 Mesh pattern (H x W) of the security fence: 12.7 mm x 76.2 mm welded at each intersection. Horizontal wires: 4 mm diameter at 12.7 mm and intermittent 4 mm double wires at 152.4 centres to centres on the inside face. 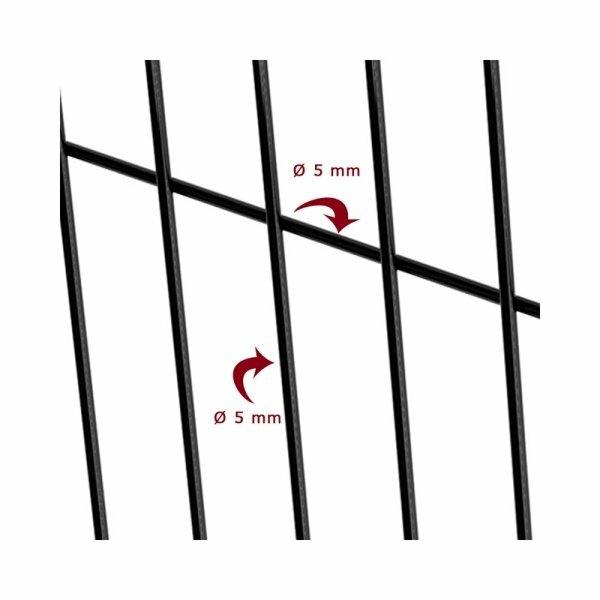 80 x 60 x 2.5 mm or 120 x 60 x 3.0 mm (depending on the post length). The posts have a single row of M8 threaded inserts. 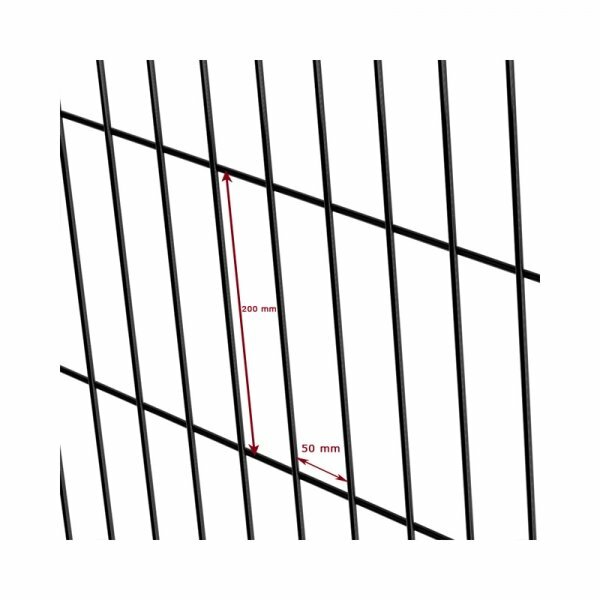 These high security fence are fixed using specific fixators or full length coverplates and one-way bolts. 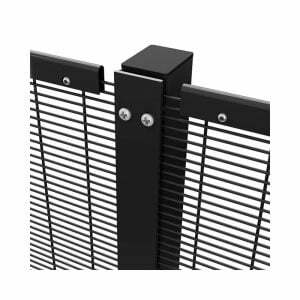 For medium to high security applications: Bekafix Super posts are recommanded. 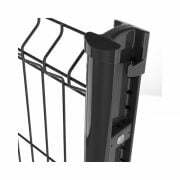 The Bekasecure post’s design and high yield strength steel provide the ultimate in high security, rigidity and ease of installation. 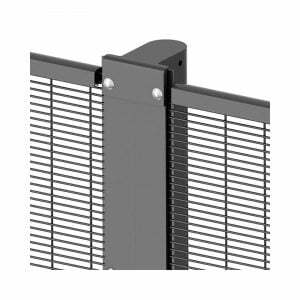 Posts have a double range of holes 10 x 20 mm and the panels are secured with a continuous cover plate and specific inox security bolts. 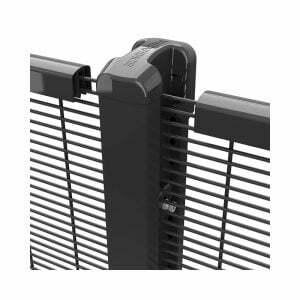 The open profile of the post (patented) allows for electrical or fibre optic cabling and is closed with specific metal cap. 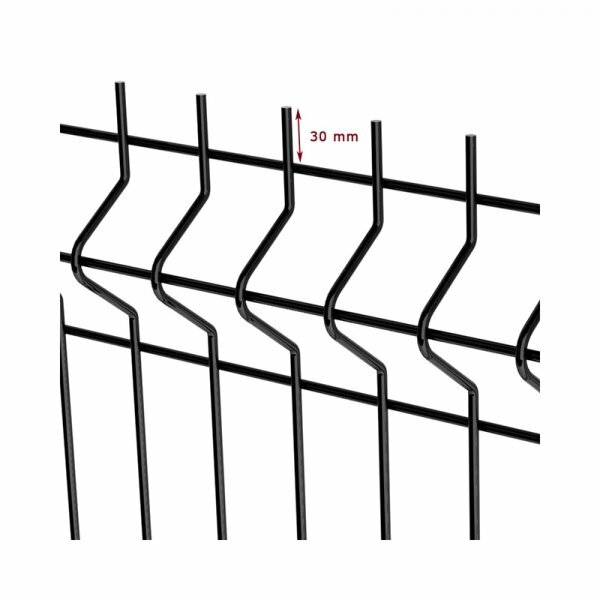 Panels made out of galvanised wires. An adhesion coating is given for perfect adhesion with the polyester coating (min. 100 micron).